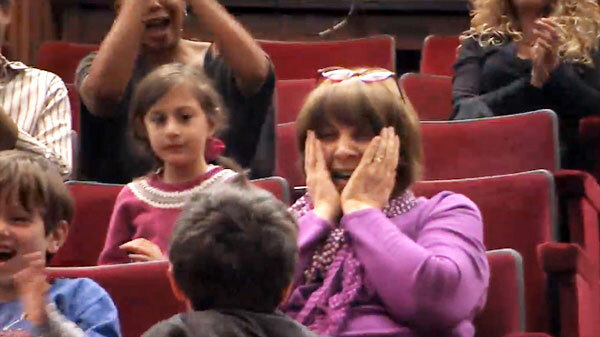 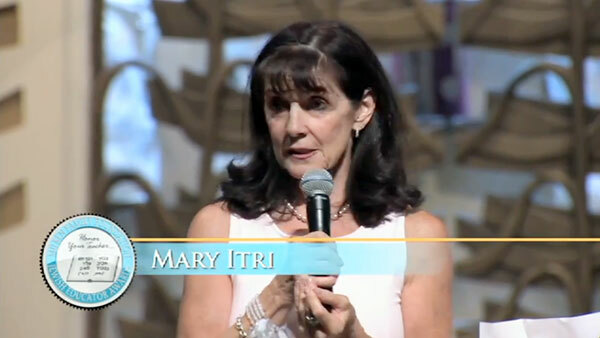 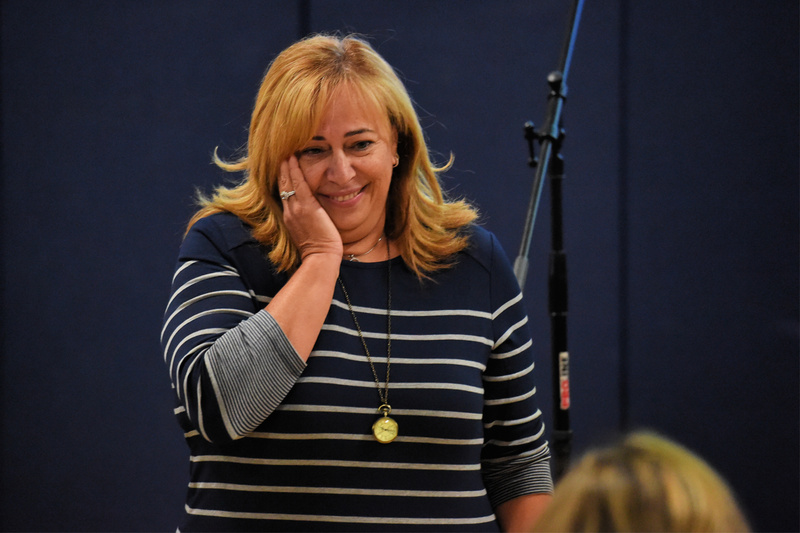 Creative in her roles as both a fifth-grade general studies teacher and as impresario of the annual Spring Musical, Mary Riley Itri has sparked a love for learning in generations of students. 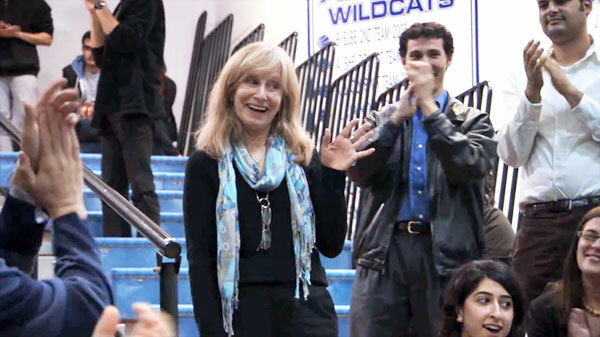 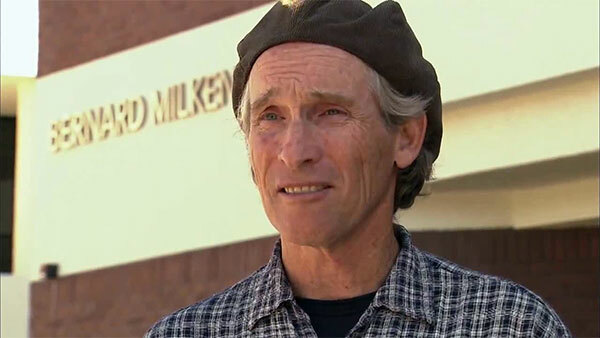 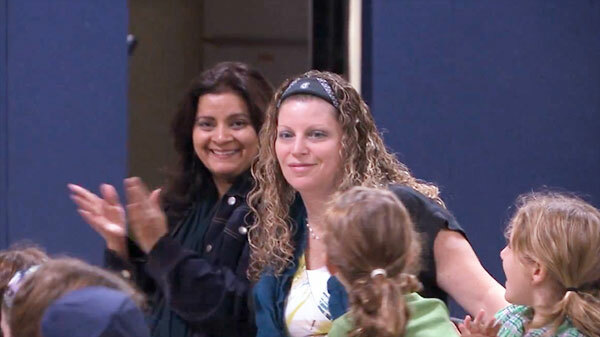 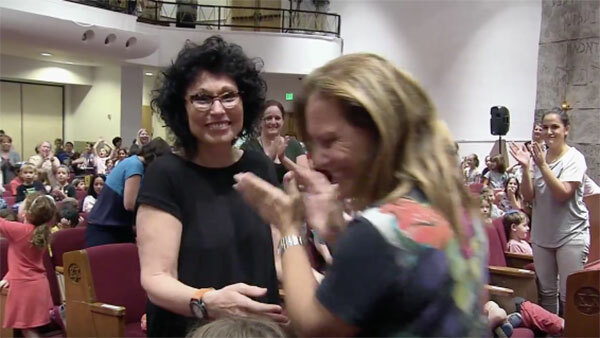 "I wake up with such joy knowing this is where I'm headed," she told students and colleagues. 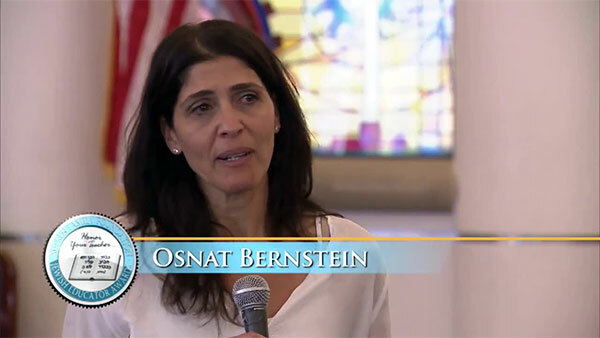 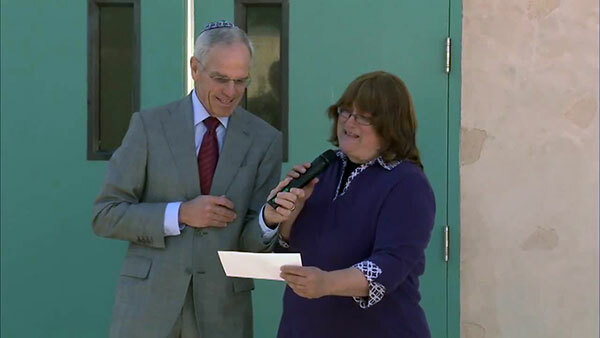 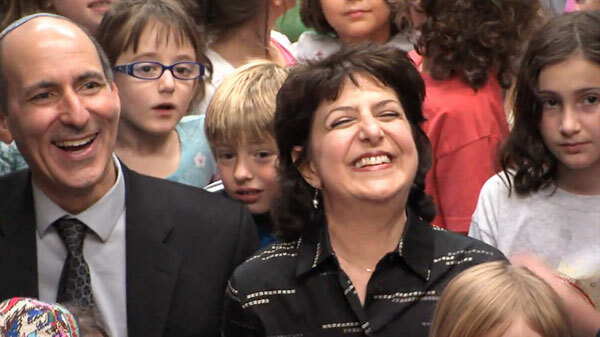 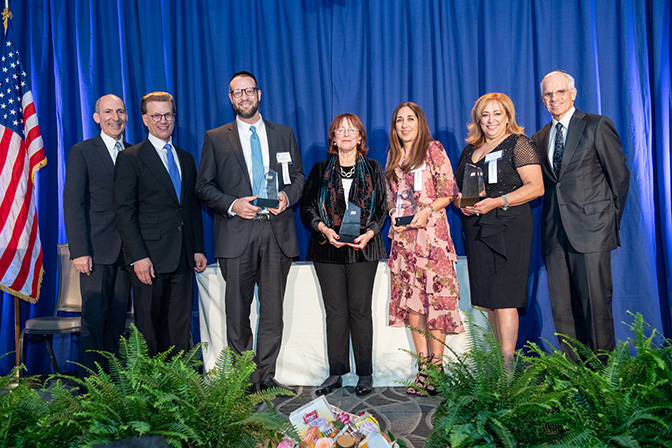 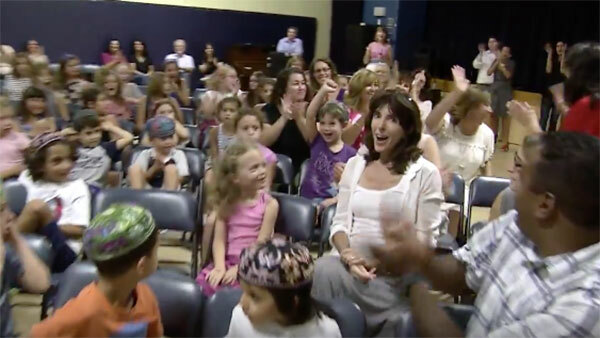 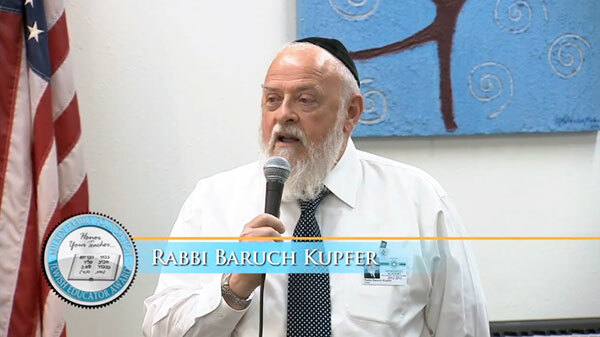 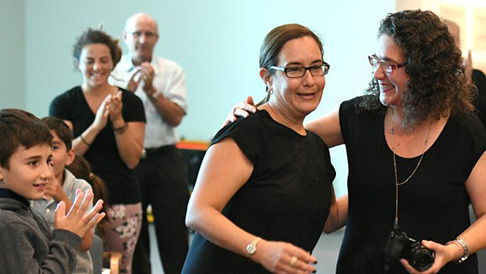 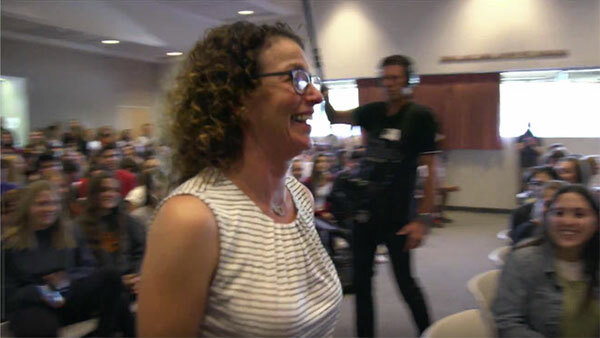 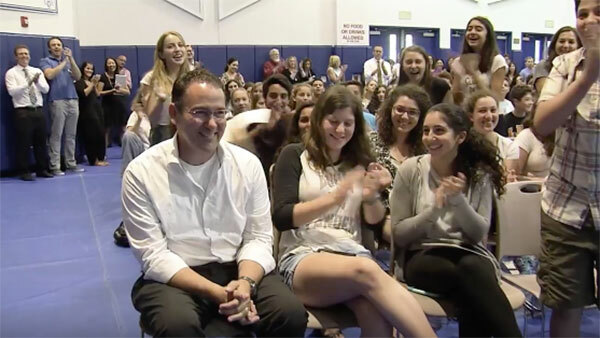 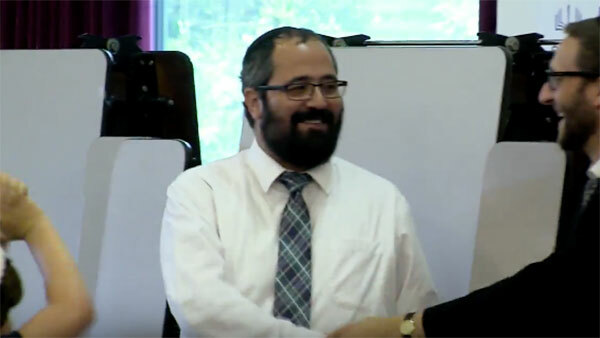 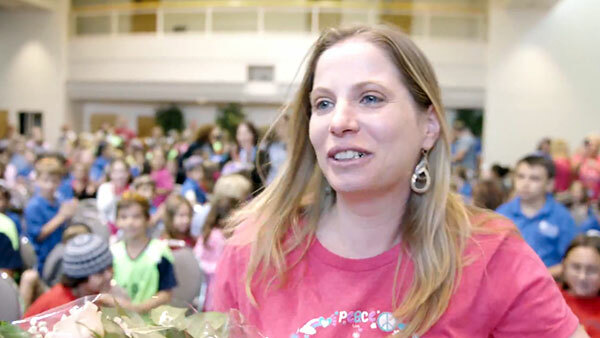 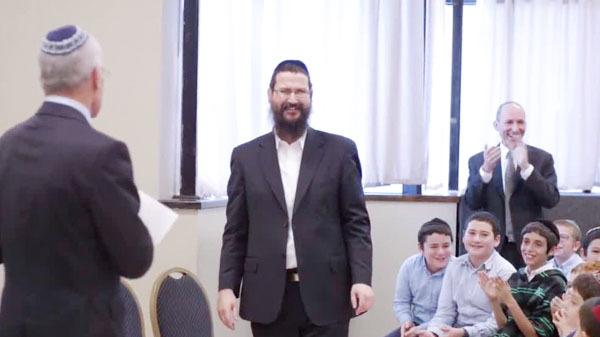 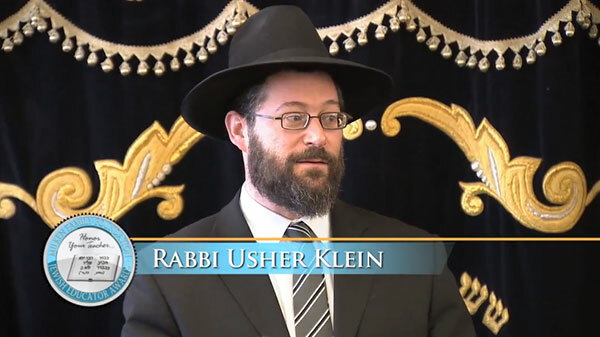 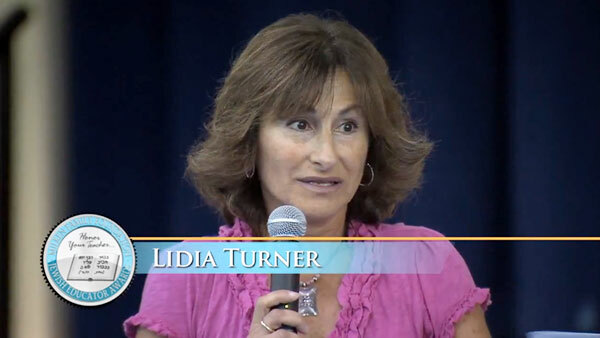 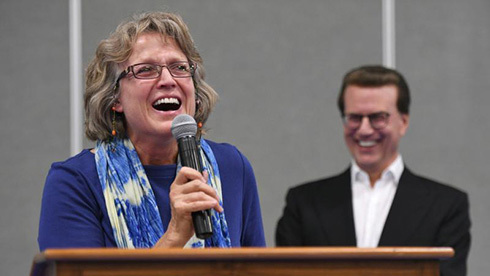 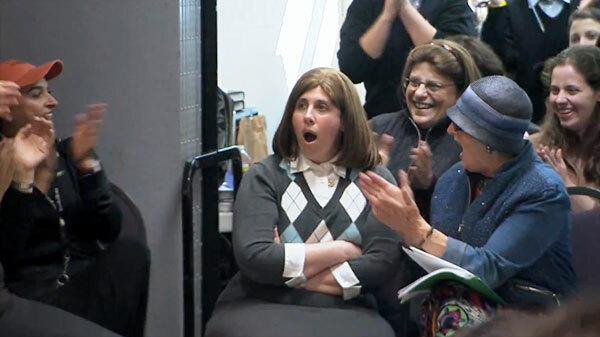 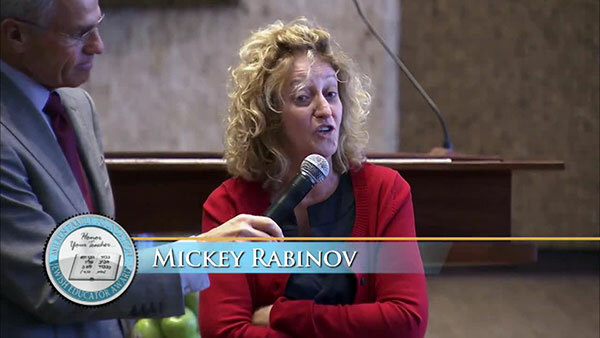 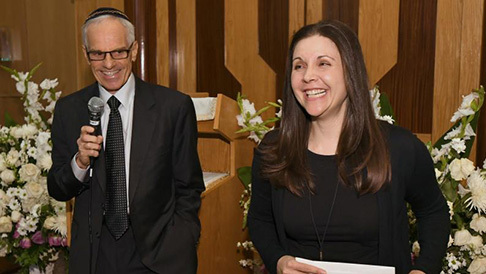 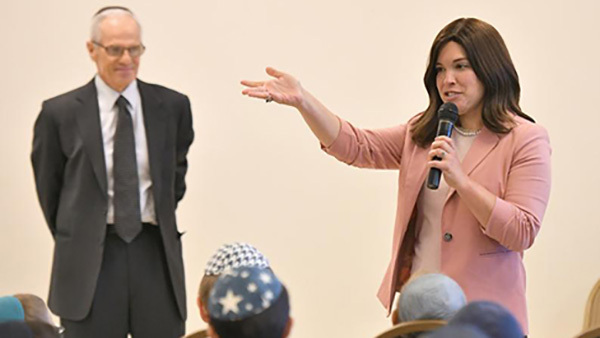 In accepting the surprise Jewish Educator Award -- and the accompanying $15,000 prize -- presented by BJE Executive Director Dr. Gil Graff and Milken Family Foundation Executive Vice President Richard Sandler, an emotional Mrs. Itri said, "My wings will soar for the rest of my life!" 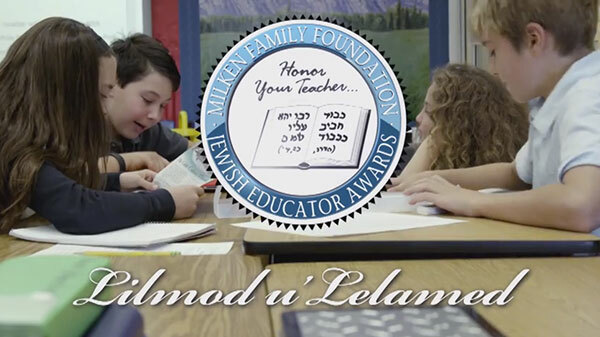 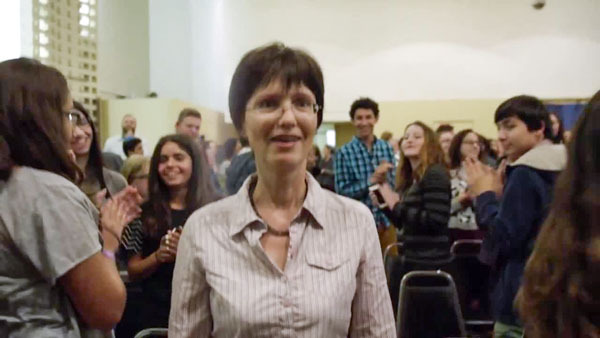 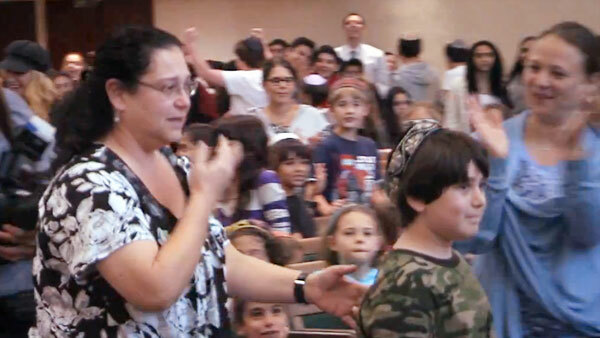 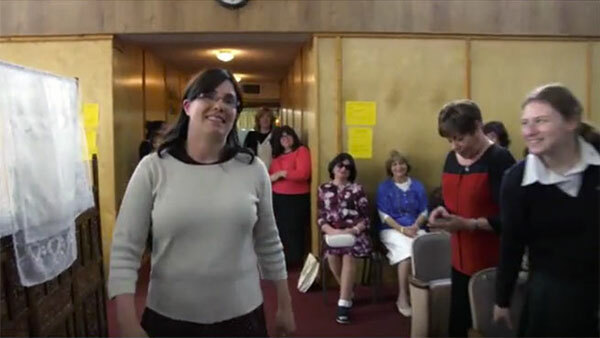 The Jewish Educator Award Goes to: Katya Malikov of Shalhevet High School! 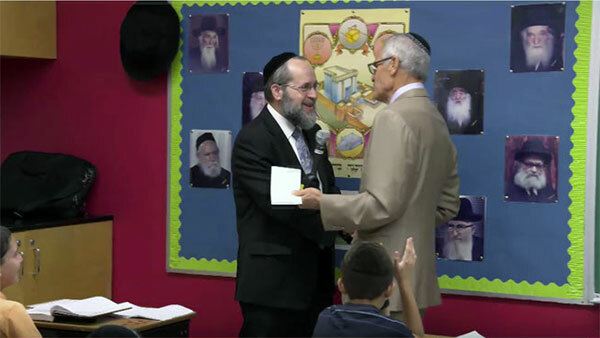 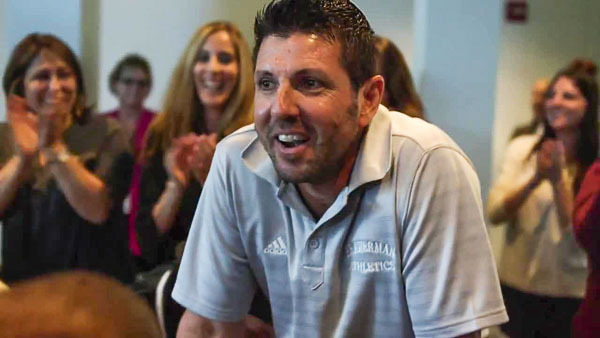 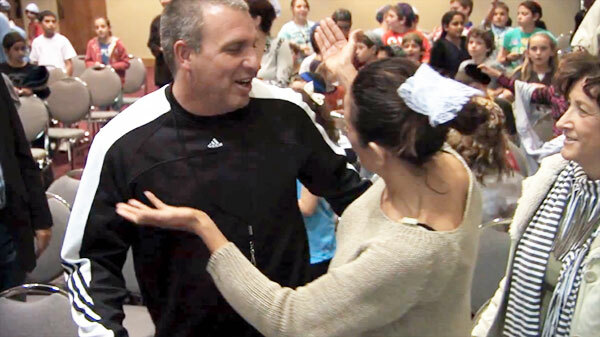 Coach Barry Schapira of Brawerman Elementary Scores a Jewish Educator Award!